What Do I Do with a History Degree? The Trinity College Class of 1969 is celebrating their 50th Reunion in June of 2019. In honor of the Class of 1969, the History Department posed for a department picture fifty years later. 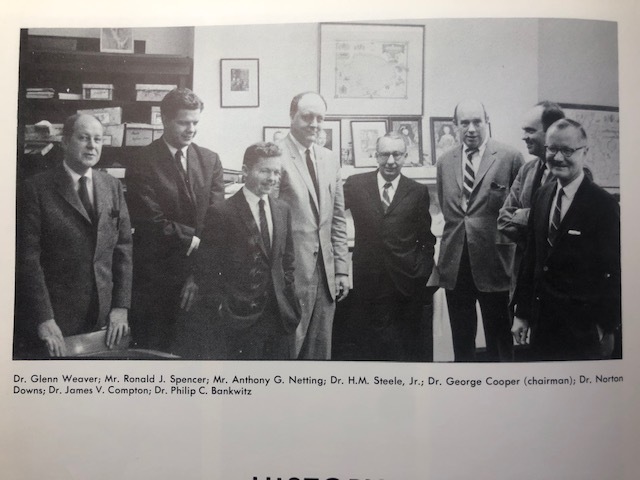 The Trinity College History Department, 1969: Dr. Glenn Weaver, Mr. Ronald J. Spencer, Mr. Anthony G. Netting, Dr. H.M. Steele, Jr., Dr. George Cooper (chairman), Dr. Norton Downs, Dr. James V. Compton, and Dr. Philip C. Bankwitz. 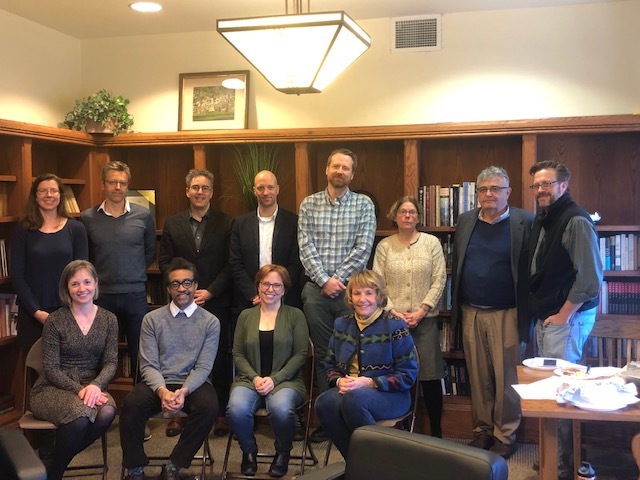 The Trinity College History Department, 2019: Back Row: Dr. Zayde Antrim, Dr. Sean Cocco, Dr. Jonathan M. Elukin, Dr. Scott Gac, Dr. Thomas Wickman, Dr. Kathleen Kete, Dr. Samuel D. Kassow, Dr. Jeffery Bayliss (chairman). Front Row: Dr. Jennifer M. Regan-Lefebvre, Dr. Seth M. Markle, Dr. Cheryl Greenberg, Gigi St. Peter). Not Pictured: Dr. Lauren E. Caldwell, Dr. Dario A. Euraque, Dr. Luis A. Figueroa, Dr. Alexander D. Manevitz, Dr. Michael E. Lestz, and Dr. Gary Regar. This entry was posted in Courses, Department Administration, General, Teaching on March 31, 2019 by bclark. Ruins of the Hiroshima Prefectural Industrial Promotion Hall after the bombing on August 6th, 1945. The Trinity College History Department is offering a new course that will provide students with the opportunity to visit key sites of significant military action during World War II. 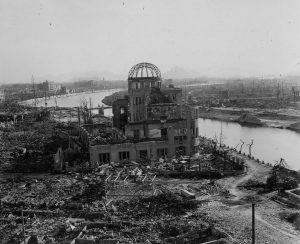 Associate Professor of History and Department Chair Jeffrey Bayliss will teach the course, and Associate Professor of History Michael Lestz will join the visits, which include stops in Tokyo, Okinawa, and Hiroshima this June. These sites, added Bayliss, each have significance to the military history of World War II and the experiences of Japanese and American soldiers. Bayliss added that “because the Japanese have memorialized the war in various ways, we can get into questions of historical and political memory” during the course. This entry was posted in Asian History, Courses, Special Opportunities, Study-Abroad, Teaching on February 23, 2019 by bclark. Professor and Associate Academic Dean, Emeritus, J. Ronald Spencer ’64 has long been a fixture of Trinity College and for more than forty years taught the history of the Civil War, among other topics, in the Trinity College History Department. While at Trinity, Spencer studied history and took a class colloquially referred to as from “Christ to Khrushchev.” Spencer notes that during his early years as a history major, United States history was relatively weak in comparison to the European canon. Spencer recalls that that changed when former Professor Edward “Ted” Sloan, Charles H. Northam Professor of History, a graduate of Harvard and Yale, arrived on the campus. This entry was posted in American History, Department Administration, General, Teaching, Trinity College on February 6, 2019 by bclark. The History Department gave six awards at the 68th annual Honors Day Ceremony on Friday, May 4th, 2018. Honors Day was introduced as part of a revival of “academic pageantry” by the Thirteenth President of the Trinity, George Keith Funston ’32, in 1950. At Honors Day, all undergraduate awards–excluding those disseminated at Commencement–are given out in the Chapel (Trinity College in the Twentieth Century). Congratulations to all the History Department students recognized for their outstanding undergraduate scholarship! This entry was posted in Awards, Events, Research, Social Events on May 7, 2018 by bclark. On Wednesday, May 2, thesis writers from the class of 2018 presented the culmination of their year-long research projects with topics ranging from Russian Communist influence in twentieth-century China to studies of the environment on the New England coast. Each thesis is the result of countless hours of independent study and serves as a significant achievement for a history major. The first presenter, Elenore Saunders, introduced her thesis titled “The Bluefish, an Unsolved History: Spencer Fullerton Baird’s Window into Southern New England’s Coastal Fisheries.” This project examined the bluefish, a species of fish that has historically been tied to the disease epidemics of indigenous populations in early America. Ms. Saunders also explored the negative stigma placed on the species and historical comparisons of the fish to wolves. This entry was posted in Events, Papers, Research, Senior Theses, Social Events, Uncategorized on May 5, 2018 by bclark. 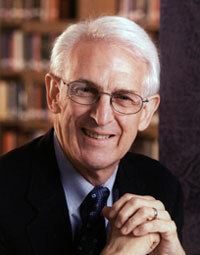 Professor Borden W. Painter, Jr. ’58, H’95, is an alumnus of Trinity and a former Professor of History, interim Dean of the Faculty, and twice interim President of Trinity College. Painter’s time at Trinity as a student included participating in football and swimming as well as majoring in history. Painter characterized the importance of “good, close relationships” with the faculty while at Trinity as a major asset to the college. Painter was also active in the Chapel and felt that, ultimately, Trinity was a “great choice” for his undergraduate studies. This entry was posted in Courses, Department Administration, European History, Study-Abroad, Teaching on April 6, 2018 by bclark. Aram Andonian, the publisher of Effendi’s memoirs. Taner Akçam is a Professor of History and the Robert Aram, Marianne Kaloosdian, and Stephen and Marian Mugar Chair in Armenian Genocide Studies at Clark University. 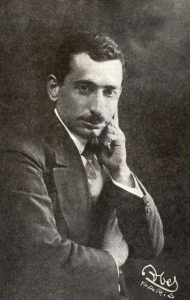 He was one of the earliest Turkish academics to acknowledge the Ottoman commission of the genocide. The Armenian Club of Trinity and the History Department welcomed Professor Taner Akçam, Professor of History and the Robert Aram, Marianne Kaloosdian, and Stephen and Marian Mugar Chair in Armenian Genocide Studies at Clark University to Trinity on Monday, March 19th. Professor Akçam spoke on his newest book, Killing Orders: Talat Pasha’s Telegrams and the Armenian Genocide. He discussed the significance of the telegrams and their role in affirming the Ottoman governments involvement in many of the events underscoring the Ottoman Empire’s perpetration of the Armenian Genocide. Akçam began by addressing the continuing denials of the Turkish government, who deny the occurrence of the Armenian Genocide itself. This argument, argued Akçam, rests on the supposition that there was never an official decision by Ottoman authorities to exterminate Armenians. To augment their claims, Akçam cited the two strategies pursued by the deniers: that they have consistently hidden or destroyed the bulk of documentary evidence and that they continue to deny the existence of certain available documents. This entry was posted in Asian History, Books, European History, Events, Lectures, Middle Eastern History, Publications on March 19, 2018 by bclark. Sir Winston Churchill was the subject of Professor Richard Toye’s lecture. The Trinity College History Department had the pleasure of receiving a visit from Richard Toye, Professor and Department Head of History at the University of Exeter, on Thursday, February 22. Professor Toye is a historian of Churchill and has a distinguished career, having written a number of publications including Lloyd George and Churchill: Rivals for Greatness, Churchill’s Empire: The World That Made Him and the World He Made, The Roar of the Lion: The Untold Story of Churchill’s World War II Speeches, and Rhetoric: A Very Short Introduction. In his lecture, Toye challenged us to consider other factors that influenced the decisions of Churchill’s rhetoric. One of the first factors Toye examined was the structure of the House of Commons chamber itself. In 1941, the house was bombed during the Blitz and a fervor developed over whether or not the chamber should be reconstructed. 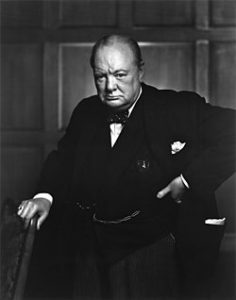 Toye described the importance of the original design to Churchill, noting that Churchill found the American rotunda design “fatal to democracy.” The intimacy of the chamber and its ability to facilitate the conversational style, which Churchill himself advanced, was critical to the Parliamentary tradition within Britain. This entry was posted in European History, Events, Lectures on February 26, 2018 by bclark. I wrote this not as an assignment but for publication here after being inspired by the mention of this practice in my Parliamentary Debate class with Professor Jennifer Regan-Lefebvre. What started as a search for an answer became an exhilarating six-hour review through the annals of British parliamentary history. 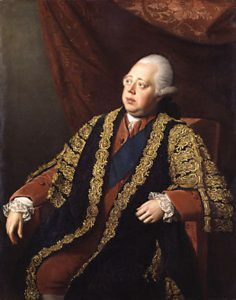 Lord North, the Prime Minister of Great Britain during much of the American Revolution and the notorious culprit of the removal of Ellis’ wig. On the evening prior, the question was posed in a general sitting of History 270: Parliamentary Debate, a course duly held under the tutelage of one Dr. Jennifer Regan-Lefebvre, a professor of British History, inter alia, at Trinity College, as to the ambiguity of the nature of Parliamentary tradition surrounding the “putting out of the wig,” as it is so-called in the Parliamentary tradition. Ergo, it stood within my earnest desires and in keeping with the general station of my inquisitive character to endeavor to establish, through scholarly review and research, the history of this unique practice. It is my hope that the forthcoming may provide an answer to this most perplexing and under-researched historical oddity in Parliament. This entry was posted in European History, Papers, Research on February 8, 2018 by bclark. 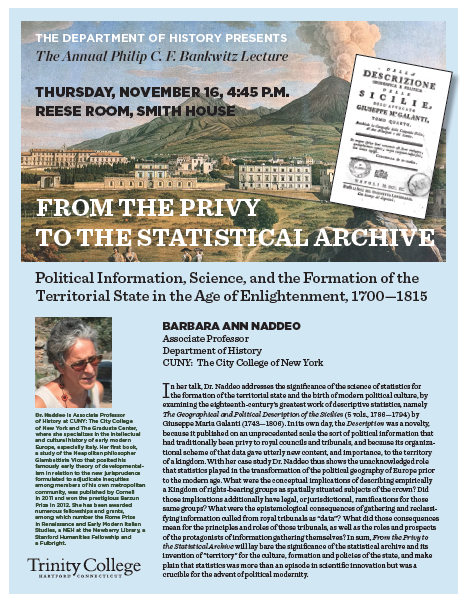 Herein, I examine Professor Naddeo’s arguments regarding Galanti’s significance in his time whereas my colleague Ms. Meagher will touch upon Galanti’s role as a source of historical information. Naddeo’s treatment of the implications and novelty of famed Italian economist and geographer Giuseppe Maria Galanti (1743–1806), who worked in the Kingdom of Naples during the aforementioned period, proved enlightening especially in its espousal of concepts on epistemology. This entry was posted in European History, Events, Lectures on November 27, 2017 by SMM.